Modern car has network of distributed sensors and controllers. If you know how to connect to this network, you can get lots of information how the car works. On-board diagnostics (OBD) is an automotive term referring to a vehicle’s self-diagnostic and reporting capability. OBD systems give the vehicle owner or repair technician access to the status of the various vehicle subsystems. OBD-II provides access to data from the engine control unit (ECU) and offers a valuable source of information when troubleshooting problems inside a vehicle. The OBD-II standard specifies the type of diagnostic connector and its pinout, the electrical signalling protocols available, and the messaging format. It also provides a candidate list of vehicle parameters to monitor along with how to encode the data for each. 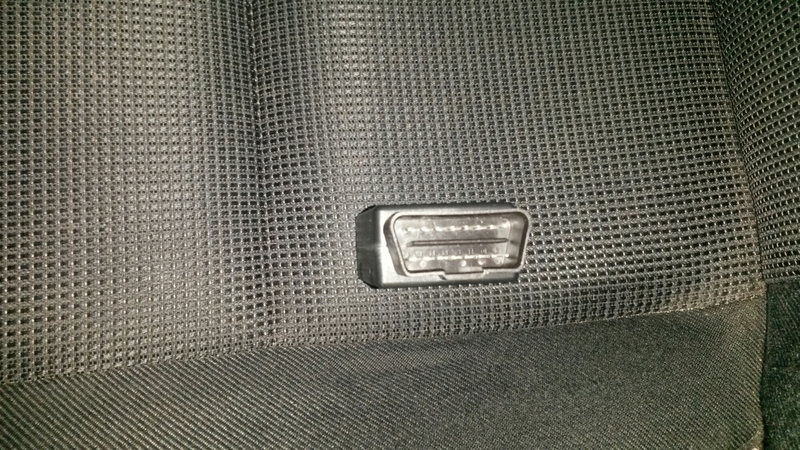 The OBD-II specification provides for a standardized hardware interface—the female 16-pin (2×8) J1962 connector (typically within 2 feet of the steering wheel). The EOBD (European On Board Diagnostics) regulations are the European equivalent of OBD-II. There are five signaling protocols that are permitted with the OBD-II interface. Most vehicles implement only one of the protocols. Many OBD II adapters are based on ELM327 or compatible electronics. The ELM327 is a programmed microcontroller produced by ELM Electronics (originallyPIC18F2480 microcontroller) for translating the on-board diagnostics (OBD) interface found in most modern cars. The ELM327 abstracts the low-level protocol and presents a simple interface that can be called via a UART. This UART interface can be hen connected to PC or other device with interfaces like USB, RS-232, Bluetooth or Wi-Fi. The ELM327 command protocol is one of the most popular PC-to-OBD interface standards and is also implemented by other vendors, and it is implemented by many OBD II to Bluetooth adapters. The 1.0 version of the ELM327 did not implement copy protection, and the PIC code was copied and widely sold in devices claiming to contain an ELM327 device. There are a large number of programs available that connect to the ELM327. This car electronics work felt so interesting that I think I need to test this. So I need to get a suitable adapter electronics, preferably one that uses ELM327 protocol and has Bluetooth connection for easy interfacing to Android smart phone. I found ELM327 Car OBD2 CAN BUS Scanner Tool with Bluetooth Function at sale price around 5 Euros with good comments, so I got this device. It promises to Works with all OBD-II compliant vehicles and have Wireless (Bluetooth) 5~10meters. The ELM327 Car OBD2 CAN BUS Scanner Tool with Bluetooth Function promises to be able to display large set of current sensor data. The device promises to be compatible with all vehicles after 1996 in US, and has proven to work in many European cars. Support OBD-II protocols: ISO15765-4 (CAN), ISO14230-4 (KWP2000), ISO9141-2, J1850 VPW, J1850 PWM . The supported software list includes Torque (Can be downloaded from Android Market), Scantool_net113win, EasyOBDII V2.2, OBD2Spy, ScanMaster-ELM and wOBDCRAZY. Final warning: There are potential security dangers on OBD II: Security reasearchers have found that they were able to gain control over many vehicle components via the interface as vehicle embedded systems are not designed with security in mind – lack of authentication and authorization in the OBD specifications, which instead rely largely on security through obscurity. So there are some potential dangers if you keep your adapter in car all the time, and somebody from nearby car gets wireless connection to it. You have been warned. 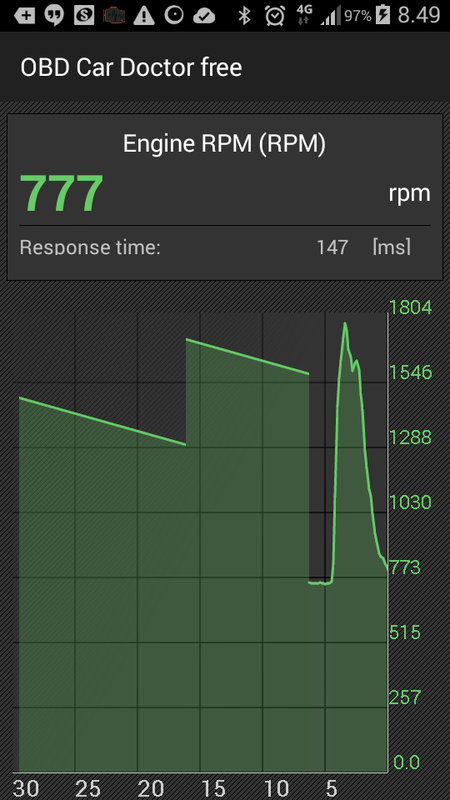 Update: I did a second try with Torque Lite today and found out that the currently available version of it in Google Play shop seems to work well for me. Now the software connects nicely to ELM327 Car OBD2 CAN BUS Scanner Tool with Bluetooth Function adapter. I tried the adapter also with Nissan Primera. It failed to get any information from that car. I tried all the software I mentioned in the article, but none of them worked with this adapter and car combination. I’m not into cars to such an extent that I have an OBD-II analyzer in my toolkit. But when I discovered Chinese sources for $9-$20 USB & Bluetooth adapters, I couldn’t say no. I knew it might not work, but it had good reviews, and I wasn’t risking much. Sure enough, it did work – well enough at least to report the misfire code and let me turn off the engine light. Then, curiosity got the better of me, and I had to see what was inside. I’ll leave it to an enterprising reader to figure out the BOM cost. How can they make it so cheaply? The big chip is a PIC18F25K80 — not too shabby a part, with 32K flash, 3.5K RAM, 1K data EEPROM, CAN, 12-bit ADC, 16MIPS, etc. It alone is worth about $2 in decent quantity! That leaves the very badly soldered Bluetooth module, blue soldermask and all. Hacking the Ford ECU. for my OBD2 test bed or my Arduino MPG Gauge or my voltage logger. Forget Expensive Racing Controllers—Play Video Games with Your Car Instead! If you take racing video games seriously, there is no substitute for a well-made racing controller. A regular ol’ game pad just doesn’t get close to replicating the feeling of driving a real car. So, why not take it one step further and use your actual car as a controller? Over at Moral Recordings, Scott Percival has a fun writeup covering how he turned his car into a game controller by tying into the CAN bus system. Our project is a black box – OPD-Pi using Raspberry Pi. In this tutorial, you will learn how to connect your Raspberry Pi to a Bluetooth OBD-II adapter and display real-time engine data to your car’s aftermarket head unit! How the OBD2 performance chip power booster and ECU remap module works. Turn your car into a ROCKET with this amazing device that reprograms your ECU for maximum torque while reducing fuel consumption. But only if you have a vivid imagination. I actually love quack stuff like this. It’s probably come from the same factories that made the clone ELM 327 diagnostic units, but have now turned their attention to the much more profitable bogus OBD tuners. The component cost is very low and the construction can be done on one thin single sided PCB. Their operation is as follows. The 12V supply at the OBD2 port is used to derive a 5V supply to power a low cost microcontroller. The unit fakes communication with the cars ECU by flashing and then flickering the LEDs like an OBD2 diagnostic unit. In reality no communication is taking place because the unit is not capable of changing the state of the car’s low impedance networks. Instead it just senses activity on them (if it even does that) to control LED activity. It’s possible that the only reason the network pins are involved at all is to make the unit look plausible to an untrained eye. Although some cars can have some parameters changed via the OBD2 (On Board Diagnostics) port for easy dealer tweaks and the more extreme geeky re-tune garages, the concept of a single tiny device that can determine the brand, model, engine type and any subsequent manufacturer updates, then look up a chart with settings and limits and then somehow adjust the settings for efficiency based on the drivers style is somewhat debatable. Simplest OBD2 engine remapper yet, with actual canbus connection. Yet another of these universal OBD (On Board Diagnostic) port engine remappers that claim to analyse your driving and then rewrite key parameters in your ECU (Engine/Electronic Control Unit) to offer greater power with less fuel. I bought this one because it showed a picture of the PCB in the listing, showing that it uses an eight pin microcontroller and appears to have actual connections to the canbus network on the OBD port. In standby the module enters a passive mode at 9mA where it pulses the communication LED. 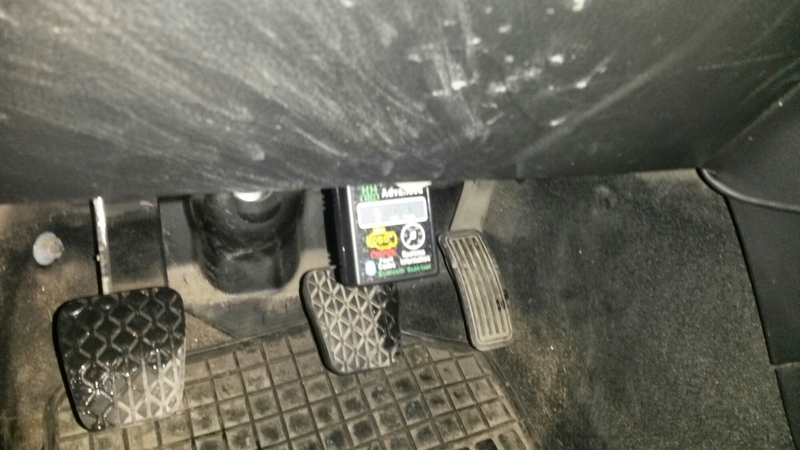 When activity is detected on the canbus network it directly affects the green LED and after a short time triggers the power LED to come on and the communication LED to start flickering. If the canbus becomes inactive the unit goes into standby mode after about a minute. Because the chip has a direct connection to the canbus network it is possible for a malfunction to take out the network in your vehicle and cause lots of random problems when the other devices on that network are unable to respond to the ECU. The unit is fake. It’s a placebo. To store suitable details for every single car since 1996 it would need to be able to identify models if it could read the VIN (Vehicle Identification Number) code and then have a database of parameters that could be adjusted with a suitable tuning algorithm for every model. That’s not viable for a little 8 pin chip and most cars don’t have the facility to make significant changes to the ECU tuning settings via the OBD port.